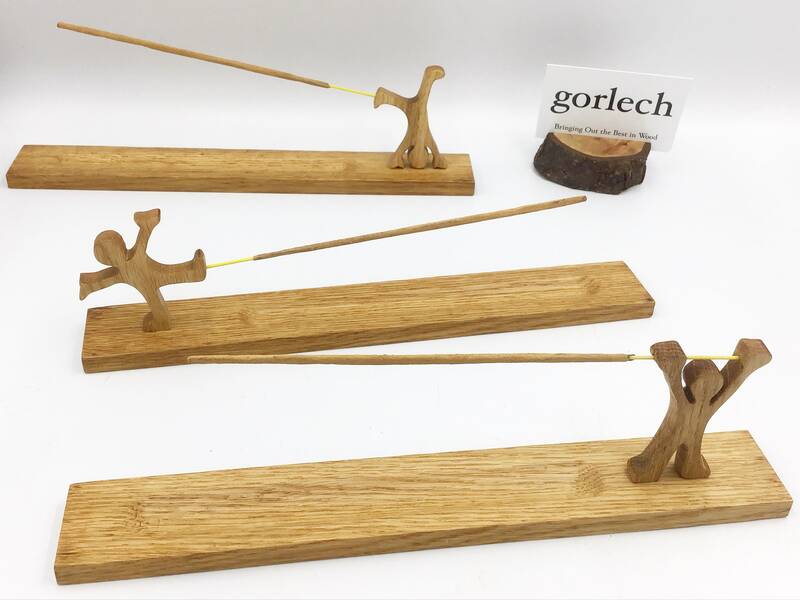 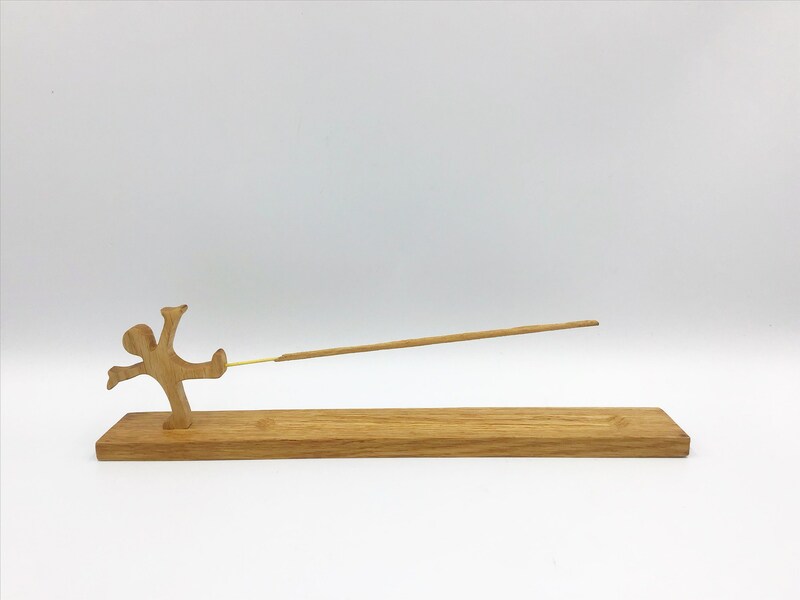 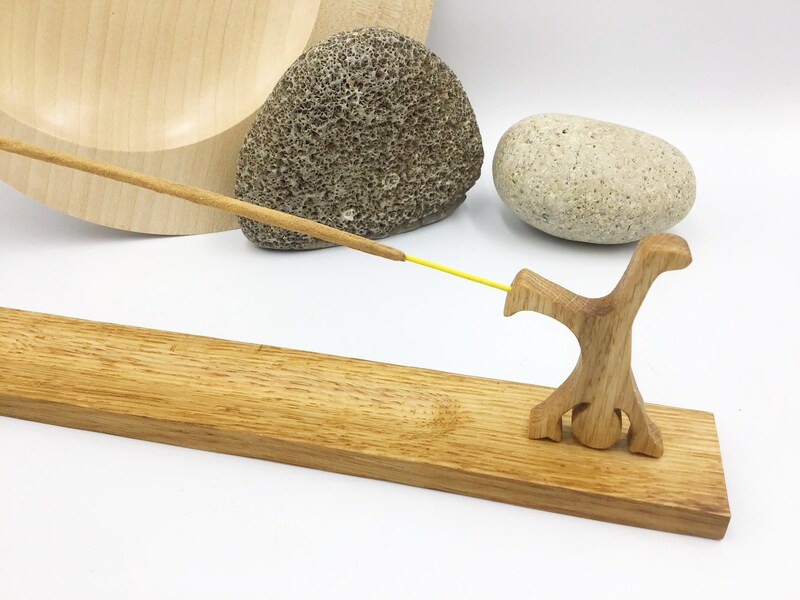 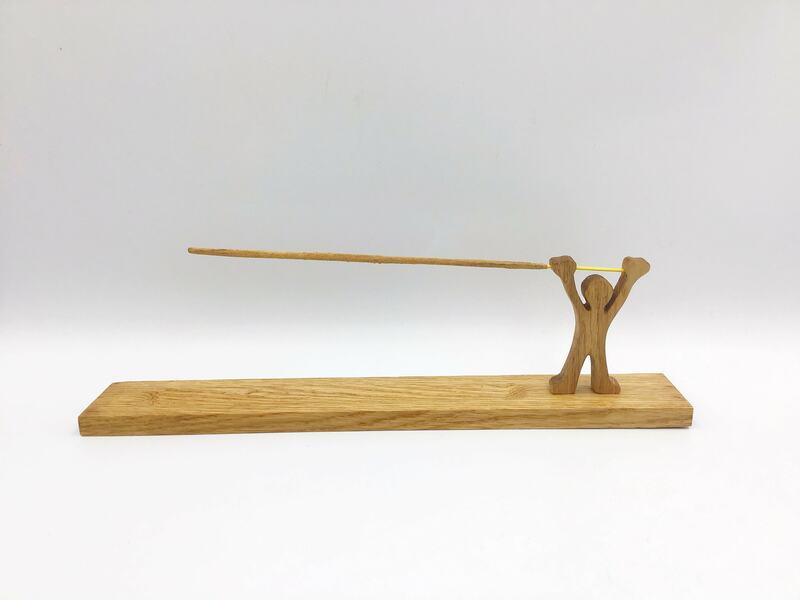 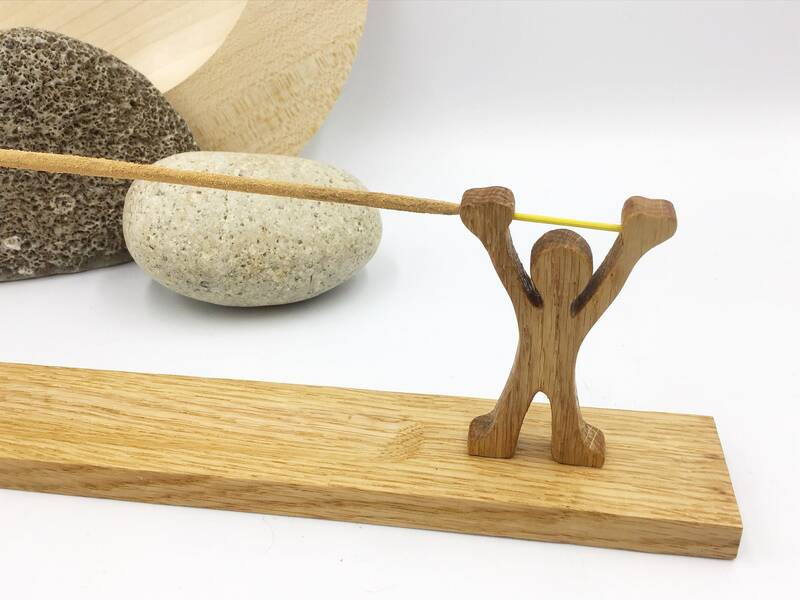 Treat yourself or someone special to one of our incense stick holders, where the joss stick is held over the hand-carved ash collection channels by one of our little wooden men. 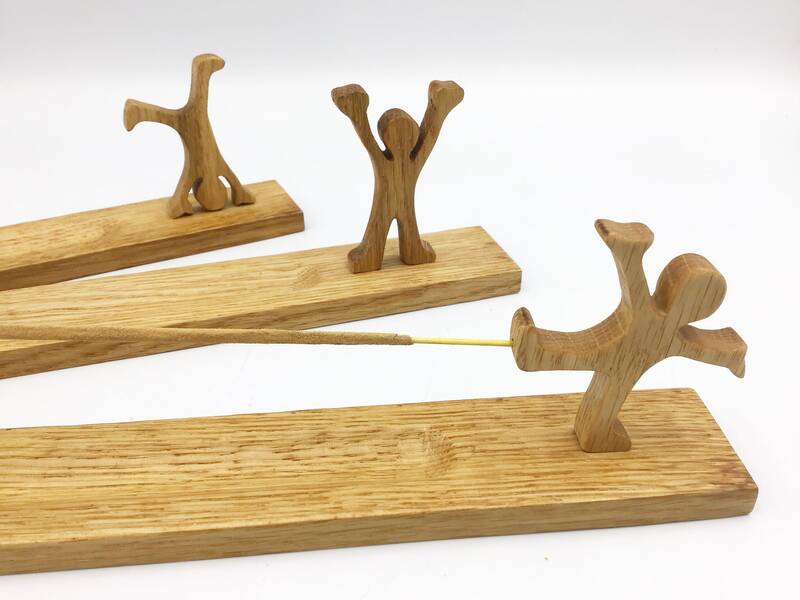 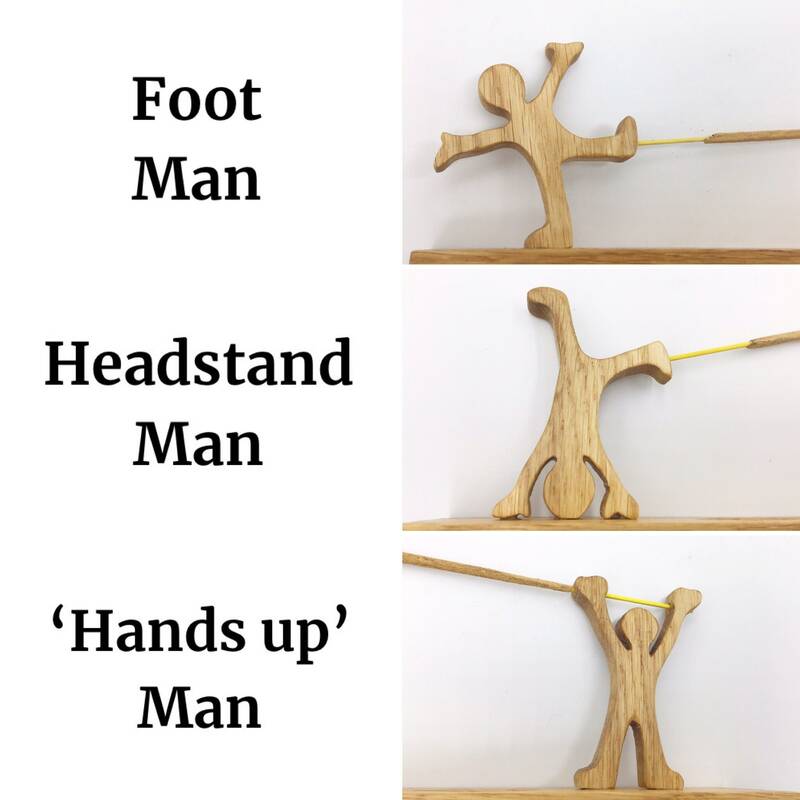 Please let us know which you would prefer when placing your order - There is an option to have a set of 3 little wooden men (one of each type) at a reduced price. 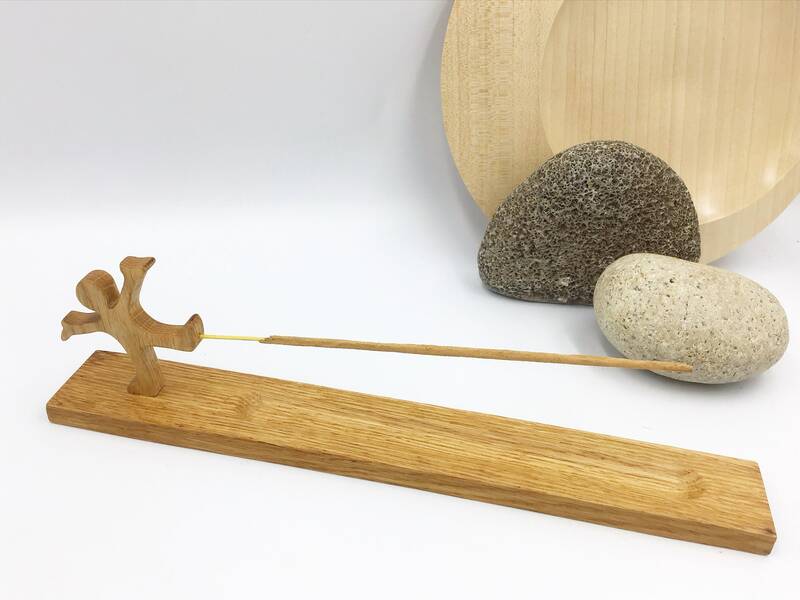 The joss stick holder has been smoothly sanded on the ends and back and has a very smooth hand tool (gouge) finish in the ash collection channel. 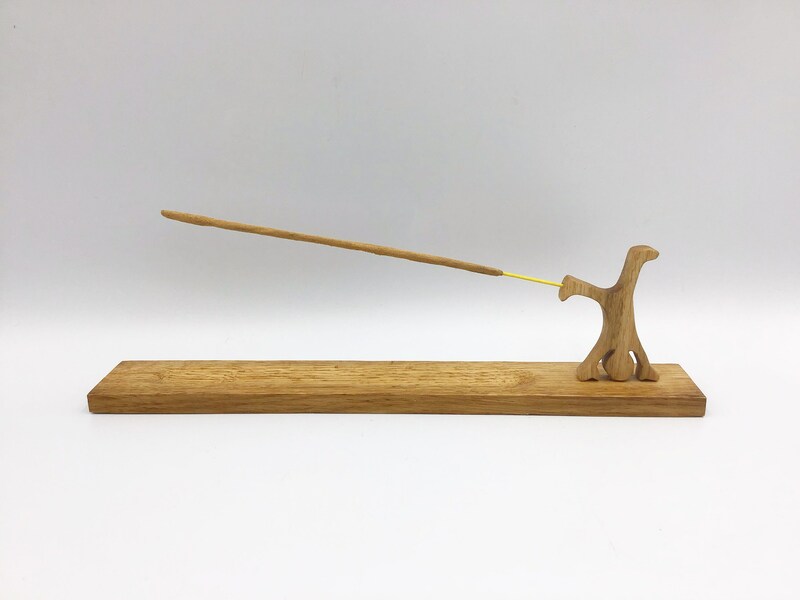 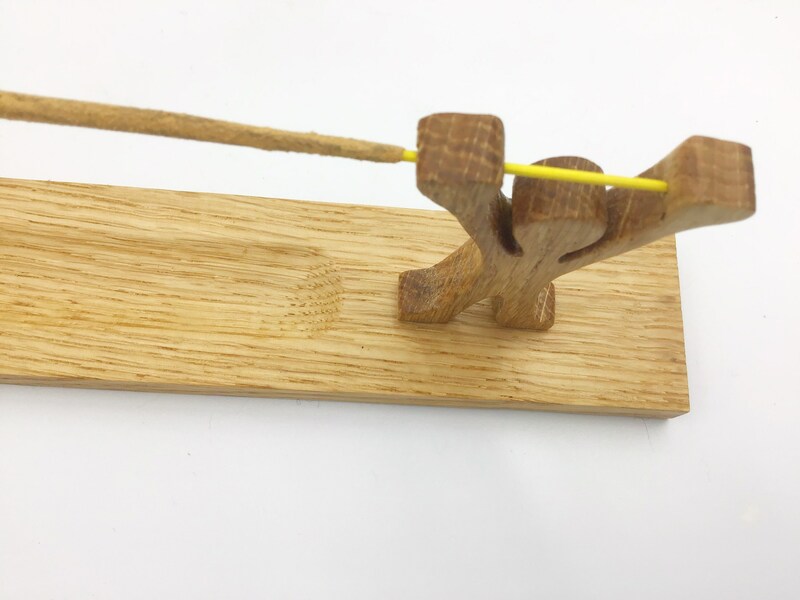 The joss stick is suspended over the ash collection channel by inserting it through holes in either the feet or hands of the little men - this way the ash always falls directly into the ash collection channel.